If you've been to my blog before, you know that I love printing and displaying pictures of my kids and family. I've talked about Mixtiles for printing onto canvas and Photo Affections Free Prints App for printing out pictures. You can find those posts here and here. Sometimes though, you may want to put a picture on a different medium than a canvas or printed picture. Maybe you want to send a photo gift to a family member but those two options just don't cut it. If you want more photo printing options, you should really check out Future Memories! 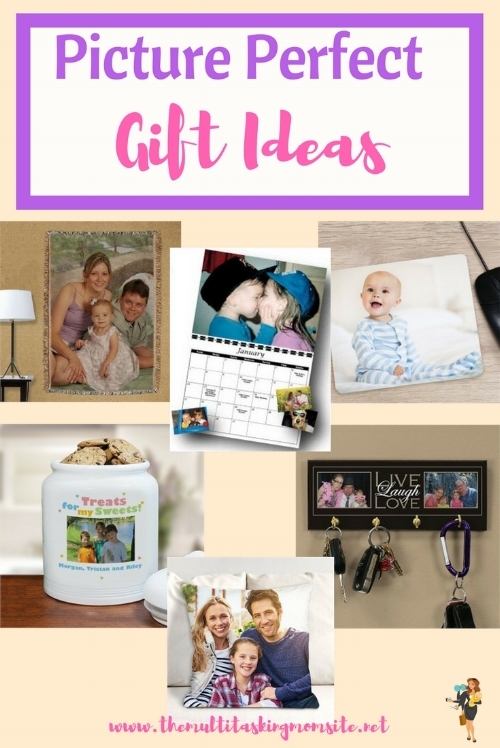 Future Memories is a website with a ton of different options for personalized gifts including a variety of photo options. You can have pictures printed onto pillows and throws, book bags and iPad cases, or on key racks and cookie jars. You can use your photos to create a calendar, an umbrella, or a personalized mouse pad. You can even turn your pictures into personalized artwork. You can make it into an Andy Warhol style pop art, or a Da Vinci Sketch. You can cartoon yourself or put your face on the Mona Lisa. There are a bunch of other options as well. In order to create one of these beautiful and personalized gifts, the process is super simple. You simply select the item you want to create and complete the purchase. For items that require just printing your picture onto a material you submit your image to their customer service team online at: http://futurememories.crmdesk.com/. Select Ask A Question, create your account and attach your image file to your question with your order number included. You either send is the photo(s) in the same manner stated above or via snail mail. The best photos are clear photos. If the artists can see the faces clearly, they can certainly create a masterpiece for you. When sending photos by email, please make sure to scan the photos at a resolution of 300 or 600 dpi (dots per inch) so that the artists can see enough details. The artists then start the artwork. Future Memories has a network of over one hundred artists who specialize in different styles and subjects. First, Future Memories will evaluate the artwork, and email it to you. They have dedicated quality controllers who inspect the artwork and communicate with the artists. You can request modifications if necessary after reviewing. They will email you the web address of your artwork images for your review. You can email them any modification request if there is anything that you are not satisfied with. They then process your email feedback. If you requested modifications, they will modify your artwork according to your suggestions. You will have a chance to review modifications online in another email once the modification is done. Modifications can be repeated until you are satisfied with the artwork. You approve the artwork online once satisfied with the artwork. Finally, they deliver the artwork to you. Your artwork will be shipped in a well protected package. I love how much care goes into each piece of artwork and the review process which allows you to get the exact quality and image that you want. The artwork can be expensive, but the result is beautiful! We've recently ordered a few items from the site and I can't wait to get them in. Their customer service is great and the items have such great reviews. You should definitely check them out if you want something a little different for your photo displays or unique gifts for family members. Let me know in the comments which items you like the best!